It's not often you see a company calling for tougher regulation of itself, but in an Op-Ed in the Houston Chronicle, Susan Dio, Chairperson and President of BP America, publicly called on the EPA to set tough nationwide standards on methane emissions. The company states that reducing methane emissions is critical to "meeting the dual challenge of producing more energy with fewer emissions." BP has taken the lead on this effort, recently achieving an "industry-leading methane intensity target of 0.2 percent." But voluntary company actions from a few companies are not enough to solve the problem. Reducing methane emissions is especially important on the Ft. Berthold Reservation. Despite increased state regulation requiring less flaring, an internal EPA report in June of last year found that methane leaks, incomplete flaring, and dangerous VOC readings were rampant across the reservation. A strong and uniform national rule on emissions from the EPA would keep methane from leaking at unsafe rates. When a major oil and gas company is calling for tighter regulations, you know that it's common sense. Santa Fe, NM: Members of the Congressional House Natural Resources Committee held a three-day trip in New Mexico from April 13 to 15 to learn more about the negative impacts of oil and gas drilling on sacred sites and air quality, especially in the Greater Chaco region of northwest New Mexico. Over the three days, Natural Resource Committee Chair Raul Grijalva (D-AZ), Subcommittee on Energy and Minerals Chair Alan Lowenthal (D-CA), Subcommittee on National Parks, Forests, and Public Lands Chair Deb Haaland (D-NM), and Assistant House Speaker Ben Ray Luján (D-NM) held an environmental-justice roundtable, visited oil and gas sites in Greater Chaco using FLIR-camera imaging, heard from local Navajo community leadership, toured the park, and held an extensive field committee hearing at the New Mexico Capitol on April 15 on oil and gas development's impacts on air pollution and sacred sites. New Mexico Governor Michelle Lujan Grisham, Pueblo of Santa Clara Governor and All Pueblo Council of Governors Vice Chair Michal Chavarria, Pueblo of Acoma Governor Brian Vallo, Navajo Nation Vice President Myron Lizer, Resources and Development Committee Chair and Navajo Nation Council Delegate Rickie Nez, Twin Pines resident in Counselor Kendra Pinto, Rancher Don Schreiber, and others gave compelling testimony on the varied impacts that industrialized oil and gas development is having on Tribal Nations, cultural resources, public health and safety, and the environment. During her testimony, Kendra Pinto asked legislators what they experienced while touring oil and gas sites in the region. Members expressed amazement at seeing the amount of invisible emissions, made visible by FLIR imaging, coming from well sites and their proximity to homes and livestock, felt a reverence when walking on sacred grounds, and commented on having more knowledge to be able to act in Congress. The field hearing followed the April 9 re-introduction of the Chaco Cultural Heritage Protection Act of 2019, introduced by the entire New Mexico congressional delegation — Senators Tom Udall and Martin Heinrich, Congressman Ben Ray Lujan and Congresswomen Deb Haaland and Xochitl Torres Small— which proposes to withdraw federal minerals from new oil and gas leasing within an approximate 10-mile buffer around Chaco Culture National Historical Park. The new version of the bill incorporated some of the recommendations made by the Greater Chaco Coalition, including acknowledgement of the Greater Chaco Landscape as extending far beyond the proposed protection zone, and the call for further additional environmental health and ethnographic studies, as well as a new provision that allows for the retirement of non-producing oil and gas leases within the region. The new version of the bill also affirms the need for meaningful Tribal consultation and was introduced alongside State Land Commissioner Stephanie Garcia Richard's anticipated executive order removing State Trust Lands from new oil and gas drilling in the Greater Chaco area. Members of the Greater Chaco coalition also met with congressional representatives and provided presentations on the impacts of the Bureau of Land Management's oil and gas leasing practices in the region and in the nation, including ongoing inadequate environmental analysis, lack of tribal consultation, lack of cultural-resource analysis, shortened and reduced public comment periods, and increasing public outrage. "As a member of the 24th Navajo Nation Council, I am more than pleased to have had the opportunity to have met with the Delegation in such an informal setting. The congressional delegation convening was a great first step in the protection of the Greater Chaco landscape. I believe that our message of community protection and need to have the federal government do more to protect not only the "cultural resources" but to protect the Diné people living in the Greater Chaco landscape was not only heard, but felt. We are committed to work with the congressional delegation in their goals of protecting the people and the landscape." "We have requested for the congressional delegation to come out and visit the sites, and finally it happened. You all have seen, felt and smelled the air in our community. It's not so good. I really hope the information you gathered from the visit be put to use and not forgotten. That is all we ask. Thank you for your visit." "Diné C.A.R.E. is grateful to the House Committee on Natural Resources for their time and attention to hearing testimony on the impacts of oil and gas development on air pollution and sacred sites; we are hopeful that these discussions with community stakeholders will continue to foster a proactive working relationship that will ensure protections for our land, water, air and sacred sites for generations to come." "We whole-heartedly give love and gratitude for the dedicated work of Sens. Udall and Heinrich, as well as Reps. Haaland, Torres Small, and Luján, to protect our sacred Greater Chaco and all seen and unseen lives of a multi-spatial existence. The Chaco Cultural Heritage Protection Act of 2019 is a start to honor ancient wisdom keeping which has interconnectivity beyond present day earthly human's ability to comprehend. Life's existence for all, needs our public support. Protecting Greater Chaco in a loving 20-mile spherical reimagining would be ultimate protection. We will do everything in our multifaceted spirit-rooted means to gain sustainability for all past, present, and future life givers." "Unfettered and industrialized oil and gas development is currently besieging Greater Chaco and vast swaths of the American West. We're thankful for leadership from New Mexico's delegation and the House Natural Resources Committee for taking the necessary first steps toward landscape-level protection and meaningful reform of the federal oil and gas program so that it may meet the rights and needs of the culture, communities, and climate of the Greater Chaco Landscape and beyond." Click here to see WildEarth Guardians' presentation to House Natural Resource Committee members. "This visit brought many northern New Mexico residents together. The experts asked to testify clarified major issues for the public. They highlighted the common ground that public health and the open air and water are being toxified and oil and gas companies must be a big part of solving this growing crisis." "We deeply appreciate the hard work of Sens. Udall and Heinrich, as well as Reps. Haaland, Torres Small, and Luján, to protect Greater Chaco and its living communities. The Chaco Cultural Heritage Protection Act of 2019 is a legacy-building opportunity and an essential facet of a comprehensive suite of actions needed to safeguard New Mexico's intertwined natural and cultural heritage. Public support for protecting Greater Chaco is overwhelming, and we will do everything in our power to sustain this legislation's momentum." Erik Schlenker-Goodrich, Executive Director, Western Environmental Law Center, (575) 613-4197, eriksg@westernlaw.org"We are truly appreciative of the House Natural Resources Committee for taking the time to visit the Greater Chaco Landscape and to hear first-hand from affected communities about the impacts of oil and gas development on cultural resources, air quality, and livelihoods. We hope this field visit will translate into comprehensive protective measures for the Greater Chaco Landscape, such as the passage of the groundbreaking Chaco Cultural Heritage Protection Act of 2019 and other necessary actions to safeguard this unique cultural landscape for current and future generations." "We're thankful to the House Natural Resources Committee for their visit to New Mexico; for seeing first-hand, the multiple impacts oil and gas development is inflicting on communities, air quality, and the Greater Chaco landscape. This is a substantial step toward addressing the region's multifaceted oil and gas problem. We're also thankful to our New Mexico delegation and their continued involvement and commitment to protecting Chaco Culture National Historical Park. Until expanded oil and gas development and leasing are truly addressed, we'll continue to advocate for broader community and environmental protections." "Food and Water Watch New Mexico appreciates the field hearing by the subcommittee of the House Natural Resources Committee. Escaped methane is indeed an issue that is part of the greater problem of the extraction of fossil fuels. We understand the fervor in controlling this dangerous threat to the atmosphere. However, our main concern is the continued permitting of new wells and the further commitment to drilling and fracking infrastructure. We would like to see a moratorium on any new permits until we can be assured of the safety of all residents. A four-year moratorium was introduced in the recent state legislative session and we look to leadership to take concrete steps in transitioning away from the extraction and burning of fossil fuels to 100% renewables." "350 New Mexico thanks the House Natural Resources Committee for their Santa Fe field hearing following their visit to Chaco Canyon. The testimony on what they witnessed at Chaco through the FLIR infrared camera – uncontrolled methane and benzene leakage and venting - confirms what tribal members have been saying for years, that their lives are being impacted by toxic pollution from fracking. We support the recent U.S. legislation to extend a 10-mile no-fracking zone around Chaco Canyon as the very least that must be done to protect this sacred site. 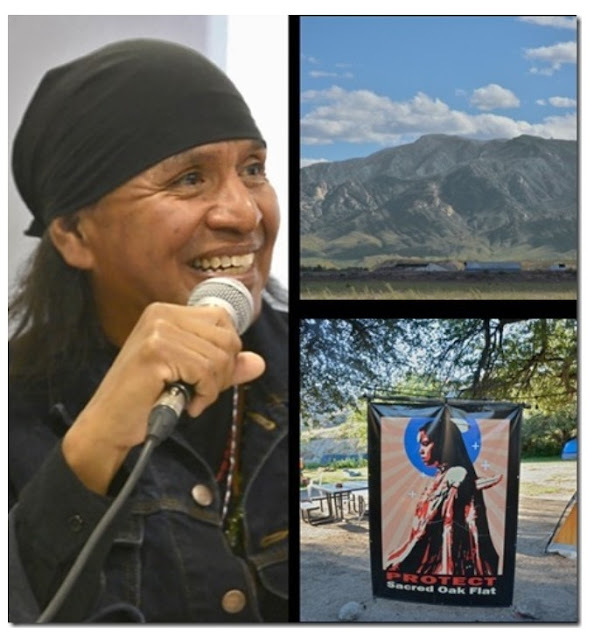 But further we call for a four-year moratorium on any new fracking or re-fracked wells in New Mexico, to give time to assess climate, air, water and health impacts, establish meaningful monitoring and develop regulation and enforcement to protect our people, water and air." "Thank you to the congressional delegation for taking the time to come to New Mexico to learn first-hand the impacts that the Greater Chaco region is suffering from the frack attack. Noise, flaring, bad roads, polluted air (methane flaring visibly through the lens of an infrared camera), minimal well pad setbacks from residences - nothing is more powerful than seeing all this for yourself. Now we hope there will be action in Washington, D.C. to right these environmental injustices." "Our six generation ranch was no longer a viable resource as a result of oil and gas activity. We owned state, private, and federal lands and few of any of the regulations designed to protect the other resources were ever enforced by the Bureau of Land Management. Not all land is multi-use land, and the damage done cannot be undone for generations to come. Protect our special places." "Thank you to the congressional delegation for visiting Chaco Canyon and holding hearings regarding safeguarding the park. As the world turns its attention, resources, and unbounded support to the preservation of Notre Dame Cathedral, so I hope the US Congress will dedicate the same to the proposed legislation to preserve a ten mile oil and gas free zone around our national treasure and World Heritage Site, Chaco Culture National Historical Park. We must protect what is precious, we must not sell that which is priceless, and we must respect our ancestors' expressions of culture and civilization. I strongly support this legislation." 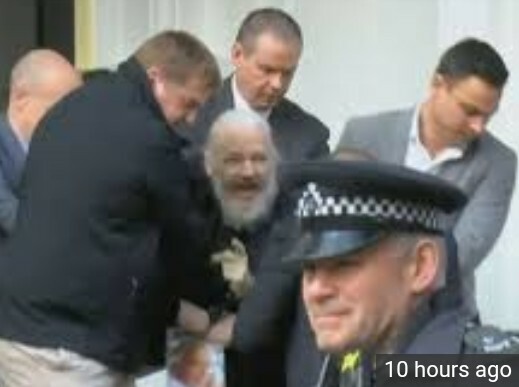 Why Julian Assange's arrest matters. 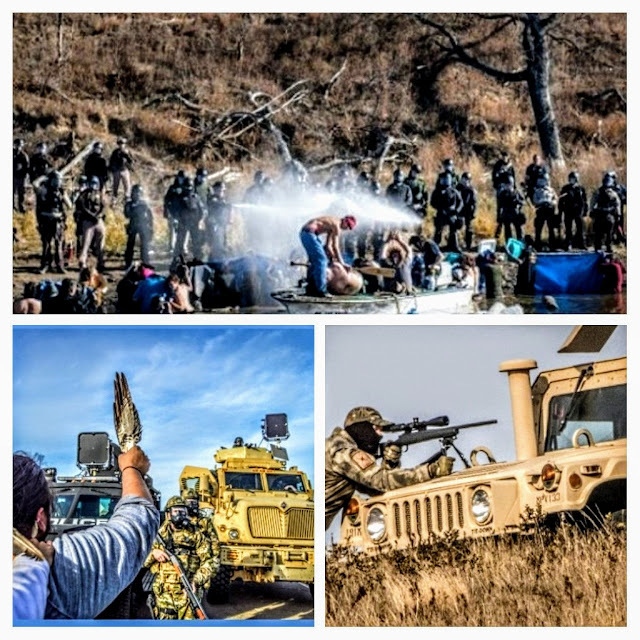 Here's the top six ways that the United States and Canada, as revealed by Wikileaks, has worked against the rights of Indigenous Peoples, by engaging in espionage and the promotion of mining, while violating Indigenous autonomy, self determination and dignity. 1. The United States worked behind the scenes to fight the adoption of the Declaration on the Rights of Indigenous Peoples. In Ecuador, the US established a program to dissuade Ecuador from supporting the Declaration. In Iceland, the US Embassy said Iceland's support was an "impediment" to US/Iceland relations at the UN. In Canada, the US said the US and Canada agreed the Declaration was headed for a "train wreck." 2. 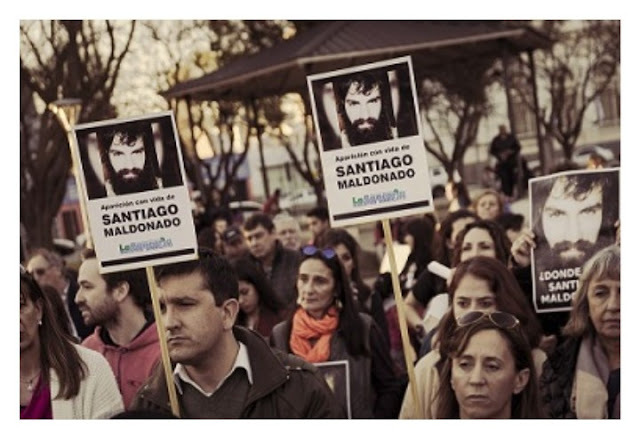 The United States targeted and tracked Indigenous Peoples, community activists and leaders, especially in Chile, Peru and Ecuador. 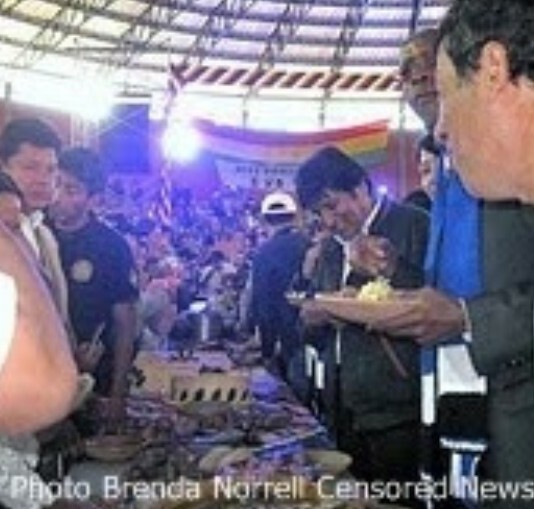 A cable reveals the US Embassy in Lima, Peru, identified Indigenous activists and tracked the involvement of Bolivian President Evo Morales, Venezuelan President Hugo Chavez, Bolivia Ambassador Pablo Solon, prominent Mapuche and Quechua activists and community leaders. President Chavez and President Morales were consistently watched, and their actions analyzed. Indigenous activists opposing the dirty Tar Sands were spied on, and other Indigenous activists in Vancouver, prior to the Olympics. 3. The United States was part of a five country coalition to promote mining and fight against Indigenous activists in Peru. A core group of diplomats from U.S., Canada, U.K., Australia, Switzerland and South Africa formed an alliance with mining companies to promote and protect mining interests globally. In other illegal corporate profiteering, Peru’s government secretly admitted that 70-90 percent of its mahogany exports were illegally felled, according to a US embassy cable revealed by Wikileaks. Lowe's and Home Depot sell the lumber. 4. Canada spied on Mohawks using illegal wiretaps. 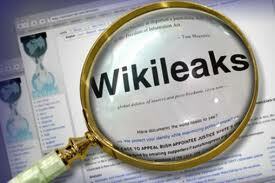 Before Wikileaks hit the headlines, it exposed in 2010 that Canada used unauthorized wiretaps on Mohawks. Wikileaks: "During the preliminary inquiry to Shawn Brant's trial, it came out that the Ontario Provincial Police, headed by Commissioner Julian Fantino, had been using wiretaps on more than a dozen different Mohawks without a judge's authorization, an action almost unheard of recent history in Canada." 4. The United States and Canada tracked Mohawks. In one of the largest collections of cables released so far that targeted Native people and named names, the US Consulates in Montreal and Toronto detailed Mohawk activities at the border and in their communities. 5. The arrogant and insulting tone of the US Embassies and disrespect for Indigenous leaders is pervasive in US diplomatic cables. The US Embassy in Guatemala stated that President of Guatemala, Álvaro Colom, called Rigoberta Menchu a "fabrication" of an anthropologist and made other accusations. Menchu responded on a local radio station that Colom was a "liar." 6. The collection of DNA and other data, makes it clear that US Ambassadors are spies abroad. US Secretary of State Hillary Clinton states that the Intelligence Community relies on biographical information from US diplomats. In cables to Africa and Paraguay, Clinton asked US Embassy personnel to collect address books, e-mail passwords, fingerprints, iris scans and DNA. “The intelligence community relies on State reporting officers for much of the biographical information collected worldwide," Clinton said in a cable on April 16, 2009. Clinton said the biographical data should be sent to the INR (Bureau of Intelligence and Research) for dissemination to the Intelligence Community. As for reactions, Mohawks are unimpressed with the cables and have little to say about either the content or the arrogant tone of the US Embassy. John Kane, Mohawk host of the radio show Let's Talk Native Pride, said, "I think one of the reasons you haven't got much response from this is just as you have suggested; it's no surprise. While some would be outraged to be treated this way or spoken of in such terms, we know what we are up against. We also know that 9-11 was an opportunity for both the US and Canada to put Native resistance on par with terrorism. No Department of Homeland Security or PATRIOT Act or Canadian Border Service or joint task force of US and Canadian alphabet soup will change the disposition of Mohawk Warriors." The US and Canada have tried to play word games to make people believe the two countries have now supported the Declaration on the Rights of Indigenous Peoples. When the United Nations adopted the Declaration on the Rights of Indigenous Peoples, four countries voted against it: the US, Canada, Australia and New Zealand. Although the four countries eventually took action on it, the US and Canada gave only lip service and included language in an attempt to prevent the Declaration from being used in federal courts to ensure rights, including the right of free, prior and informed consent and the right to ancestral territories. Indigenous rights were the focus as tens of thousands of Indigenous Peoples and grassroots people met in Cochabamba, Bolivia, and then Cancun, Mexico, to establish new climate standards for the protection of Mother Earth in 2010. Globally, efforts have increased to expose the scam of carbon credits, protect water rights and to protect forests, rivers and oceans. Wikileaks exposure of the race for Arctic oil by numerous countries, has led to new efforts to protect the homeland of the Inuit. During the last week of May 2011, the American Indian Movement was in Venezuela to support President Hugo Chavez. AIM thanked CITGO for heating assistance for poor families, as the US imposed new economic sanctions on Venezuela. Anishinabe First Nation Chief Terrance Nelson released a statement questioning if the US is targeting Chavez as its next "bogeyman." Chief Nelson also said that for Native people in the US and Canada, economic sanctions from the colonial governments are nothing new. "As indigenous peoples in North America, our experience with the colonial governments has been continuous undeclared economic sanctions enacted against our people," Chief Nelson said.